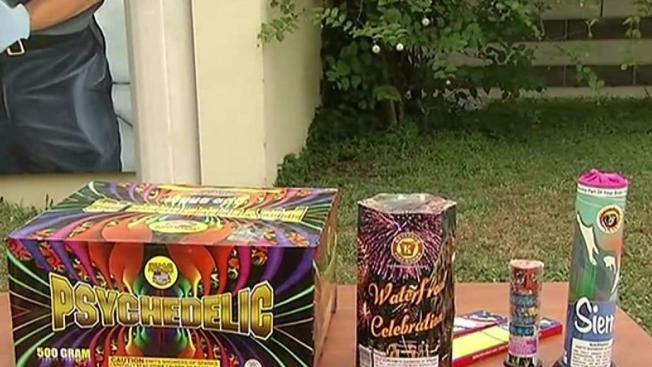 A teenage boy is in danger of losing a hand after a firework he was playing with on the Fourth of July exploded, officials say. The young teen was injured just after 10:30 p.m. in the backyard of a home on the 1800 block of Addison Road South in District Heights, Maryland, Prince George's County fire officials said. He received severe injuries to his hand, face and torso. Medics rushed him to a trauma center. Prince George's County Fire Chief Benjamin Barksdale said charges in the case are possible. "We cannot look the other way when a law designed to prevent this type of life-changing injury is violated," he said. In Prince George's County, it is illegal for any person to possess, discharge or explode any fireworks. This is the third firework-related injury in the county in the past nine years. At least four people were injured using fireworks Tuesday night. A District Heights resident who lives near the boy who was injured said he often sees people in the area using fireworks. He said he hopes people will steer clear of them. "If someone holds something in their hand and it explodes, I think that there would send a message," he said.